Ruby and Merlin are planting some sunflowers, but when there is a drought the flowers start to die. 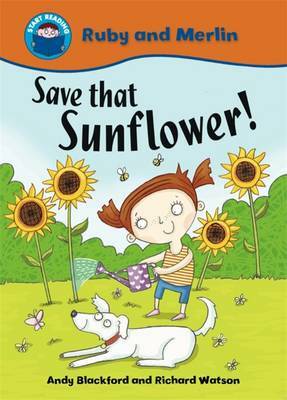 How can Ruby save her sunflowers? Save that Sunflower! is part the the Ruby and Merlin series; four books at Band 4 of the Start Reading programme.